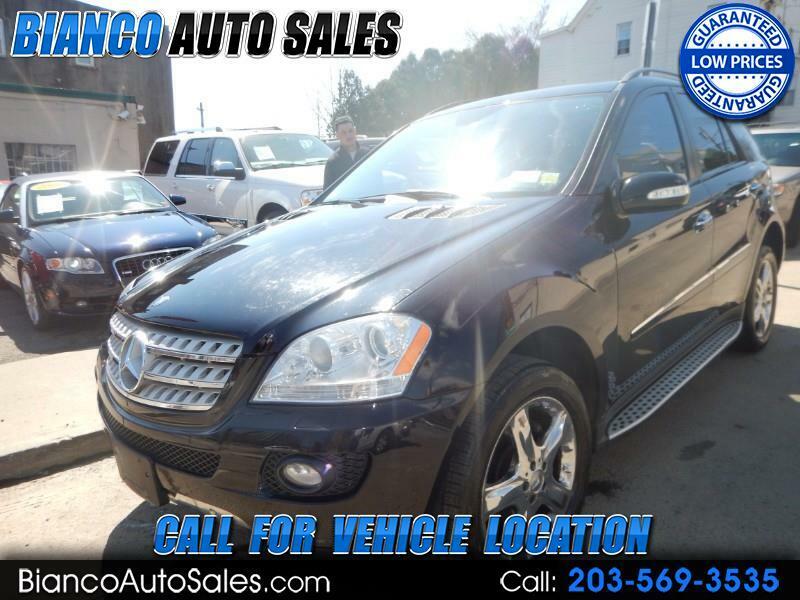 PLEASE GUYS LOOK AT THE SERVICE HISTORY ON THIS PRISTINE ML350!!! !---ALL SERVICE ON A REGULAR BASIS FROM MERCEDES DEALER---NO ACCIDENTS- LOOKS LIKE NOBODY SAT INSIDE!! !--IT REALLY IS THAT CLEAN!!! !---LOOKS AND DRIVES LIKE NEW!!! !--ALWAYS GARAGED!!! !---ALWAYS DETAILED!! !--THE PREVIOUS OWNER LOVE D THIS TRUCK--BARELY DRIVEN!!! !--RUNNING BOARDS!! !--LUXURY PACKAGE!! !--SO VERY CLEAN---DRIVES TIGHT AND SMOOTH!! !--WE SPECIALIZE IN MERCEDES BENZ!! !--PLEASE READ OUR REVIEWS AT WWW.BIANCOAUTOSALES.COM!!! !COME IN FOR A TEST DRIVE!! !--YOU WILL LOVE IT!! !-NO PAINT WORK--THE NICEST 2008 ON THE MARKET!! !--COME IN FOR A TEST DRIVE---YOU WILL LOVE IT!! !